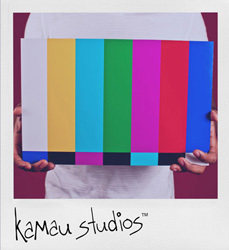 Kamau Studios is a visual storytelling studio based in New York City’s Seaport District created by Artist / Historian, Kamau Ware. We are a creative community of storytellers experimenting with narrative devices in visual storytelling called storystyle. We tell your story with images, books, videos, and immersive experiences. Our flagship storytelling project is the Black Gotham Experience. Kamau Studios LLC was founded by Artist / Historian, Kamau Ware. He started a blog called kamaustudios.com in 2008 as an image-based diary of his “work, ideas, and peeps”. At the time, Kamau was a freelance event designer and photographer studying the Black Diaspora’s impact on New York City as a hobby. Kamau continued to get referrals for his photographic work because his images stood out for their narrative style, using the camera as a protagonist to capture details, emotions, characters, and the arc of events. In 2011, Kamau coined the phrase “storystyle” to define his practice. The next year, he opened a photography studio in Red Hook, Brooklyn, which served as a visual storytelling laboratory. In 2013, Kamau took a passion project, Black Gotham Experience, and made it the flagship storytelling project of the Studio. Kamau Studios LLC is now based in New York City’s Seaport District in a storefront that is our studio and the home of the Black Gotham Experience.